In need of a trailer repair? Let us get you back on the road! Experience- When you need a trailer repair, you can’t call on just any mechanic! Not only do we have the ability to perform your trailer repairs, but we also have the experience you’ve been looking for. For over 20 years, our business has been working with diesel engines, trailers, and RVs. You can rely on us to get your trailer repairs done right, no matter what repairs you need. Tools & Equipment– Not every mechanic will have the right tools and equipment needed to work on such large pieces of equipment. However, we do . . . because that’s all we do! Availability– Trailer repairs don’t always come at a convenient time! That’s why we offer 24/7 roadside assistance for our customers. We can come to you if you are unable to come to us. For all your trailer repair needs, we want to help you. 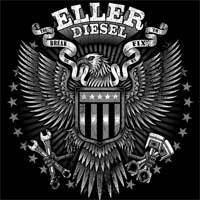 Give us a call here at Eller Diesel Truck & Trailer Repair for more information today!